Campus educates all levels of talent, from those who have recently graduated to C-suite | Executive professionals. Through educational panels, workshops, lunch & learn sessions, career bootcamps and more, we educate talent to fulfill their career goals armed with current, hands-on industry knowledge. 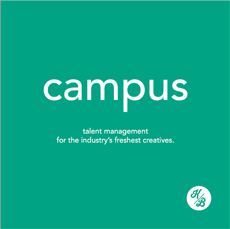 Campus was originally created when the Kay & Black team recognized that talent didn’t always have the tools needed to navigate their career. In a time of great change in how we work, Campus was created to support talent beyond the job application, and then it grew into so much more.. Whether talent is in the process of landing a job or advocating for themselves in their current role, we assist in successfully navigating their careers within their area of expertise. We collaborate with industry partners and experts to provide talent with the best and most resourceful knowledge and insights. Since campus’s grounding and honest talk I’ve realized that advocating for myself actually makes me look better. Who wouldn’t want to invest in someone who is confident, knows their worth and isn’t afraid to reasonably negotiate? Campus has a knack for taking decades of industry experience and mixing it with natural warmth and accessibility; their past panels and sessions have students and emerging professionals on the edge of their seats asking questions and jotting notes. It’s no surprise that we watch everyone leaving feeling a little more connected and prepared to tackle the often daunting job-seeking process. Campus should be named “Realness.” When campus discusses the ins-and-outs of your upcoming job-hunt, be prepared to hear about how people landed their dream jobs, nailed interviews, or had a great book but bombed an interview. Their information is current and their tone is honest, down-to-earth, and real. So while getting a creative job can seem overwhelming, the team at Kay & Black make it actionable and achievable. I had the privilege of attending a career workshop hosted by Campus. I was so impressed by the knowledge and advice shared by the panel, the real conversations that were happening from the Q&A, and the overall energy from every person in the room. I heard the advice I needed, and even more importantly, the advice I didn’t even know I needed. I left feeling empowered, focused and ready to take the next step in my career. Campus came to me to speak at my school and they sure know about the etiquette, the hustle, and the industry. They offered incredible insight from both job seekers and agencies. In less than two hours they really made us feel ready to go out to the real world.